You deserve a springtime reward. 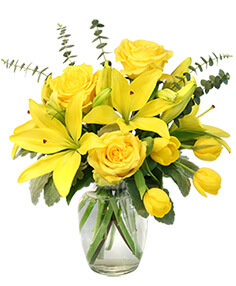 MCCOY'S FLOWERS & GIFTS INC. will design a glorious bouquet of spring flowers for your home. Bring in the spring sunshine with a vase of daffodils. Capture the fresh breeze of a spring day with a basket of flowers. Celebrate the simple pleasures of spring with blue iris, pink gerbera daisies or rosy tulips. Feel the day's delight with spring flower arrangements. Everywhere you turn in Norwalk, CA the revival of spring is felt. 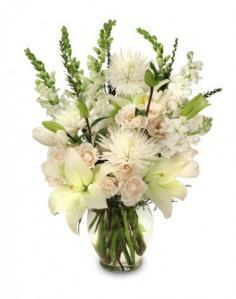 MCCOY'S FLOWERS & GIFTS INC. has a charming collection of spring flowers waiting to brighten your day. 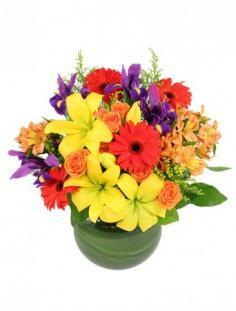 MCCOY'S FLOWERS & GIFTS INC. creates a sunny sensation with vibrant summer flowers. Select a sizzling summer flower arrangement to add pizazz to your home or office. Send a ray of sunshine with a floral bouquet of summer flowers. Add a punch of tropical colors to your summer fun with a glorious flower arrangement. Celebrate the carefree days of summer with a crescendo of garden delights arranged impeccably in a vase. From the first bang of the season to the end of Indian summer, MCCOY'S FLOWERS & GIFTS INC. creates a spectacular parade of colorful flower arrangements. Fun, festive and irresistible; the sheer pleasure of summer flowers awaits you in Norwalk. 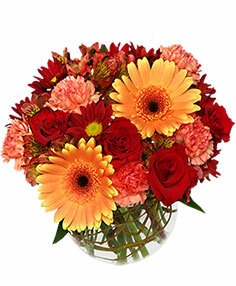 MCCOY'S FLOWERS & GIFTS INC. captures the essence of the autumn harvest with their colorful fall flower arrangements. Radiant reds, rustic browns, and golden yellows are all perfect for this season. Having a party or get-together? Nothing adds more to a room than a festive fall arrangement. It's the perfect coversation starter! Whether you want to send as a gift or keep for yourself, MCCOY'S FLOWERS & GIFTS INC. can help with any type of fall flower arrangement!